Sand, Wind and Stars - LRDG, 70 years on: A good read. In light of the chaos and mayhem in North Africa we have taken the regrettable decision to postpone our Expedition to Egypt. Rather than risk ourselves and all the vehicles it seems sensible to delay until maybe later these year, or early next year. This will give Egypt a chance to elect a Government and, hopefully, stem the flow of fleeing exiles from Libya. In the meantime we shall work hard to reduce costs in an attempt to make the trip more affordable and research more sights with the help of this excellent book that arrived this week. 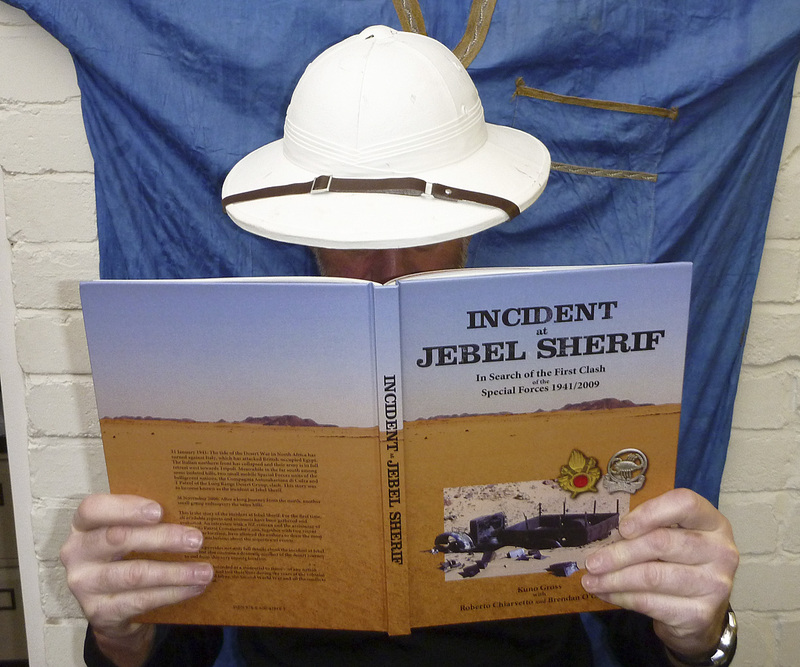 Incident at Jebel Sherif, by Kuno Gross, Roberto Chiarvetto and Brendan O’Carroll is the definitive book on the Long Range Desert Group and a must for all those interested in the subject. It is informative, based on the exhaustive travels of the authors and historical reports from those brave men who fought with the LRDG. The book is well illustrated with current colour photographs and original black & white pictures taken at the time, supplemented with copies of old documents. I shall enjoy reading it as North Africa settles down to some kind of status quo. What a shame....I feel vicariously let down. But given the recent activities of 22 Regiment in the area (allegedly), driving around in a camouflaged jeep might have been a bit iffy. As a small trial run, have you thought of recreating the raid on Dieppe? Or perhaps an air drop on Pegasus Bridge?